Perfect for one to two people. No smoking and sorry no pets. I am a retired chiropractor and have spent the last 40 years in this county. I found this property while on one of my favorite bike rides, Prefumo and See Canyon. My wife owns the House of Bread, a local bakery with some of the best baked goods you'll ever taste. This property is located on one of the most beautiful roads in San Luis county. We are at the very top of the Irish hills with views second to none. We are centrally located to enjoy wineries, beaches, and San Luis Obispo county in general. Or simply stay put and enjoy the serenity. We are just up the road from the See canyon apple orchards. Cycling and hiking from our door. We are 15-20 minutes from almost anywhere downtown San Luis Obispo...yet we have very few neighbors. All of the "Seven Sisters" can be seen from the property. From Morro rock to Islay peak. West Cuesta ridge is in the distance. Visiting our granddaughter brought us to SLO so we decided to rent a place that would be fun to stay in. We weren’t disappointed. We were amazed when we arrived to see gorgeous views of the lush Irish Hills. The five mile ride up the canyon road begins with a winding road through a beautiful canopy of trees. During The last mile the trees give way to hills of grass and awesome views. (The road is sometimes steep and curvy here). At almost the top we found Tom’s property to be attractive and beautifully landscaped. What’s more we were delighted to enter the cottage to find it comfy and cozy, decorated with warm wood furnishings and a small gas fireplace. Tom was an excellent host providing everything we needed for breakfast: granola, coffee, butter, eggs, and even a freshly baked loaf of bread. When we weren’t visiting our granddaughter we spent some time walking along the road, taking in the views, and playing cards in the evening in front of the fire. One evening we made a fire in the outdoor fireplace. That evening we grilled fish that we bought in nearby Morro Bay. This was one of the most interesting places we’ve stayed. We really enjoyed our stay at Tom's little slice of heaven on the peaks of the Irish Hills. Tom was a superb host and the cottage was a very nice place to call home. Thanks so much for staying with us. You guys were great! Easy to host. I was impressed with your research/ local knowledge. You didn’t need me. I hope I trust you had a great time. !!!!! This cottage is airy and well appointed, indeed larger than the pictures would lead you to expect. I especially enjoyed the deep bay window, the comfortable bed, and the private deck shaded by a peach tree. The owner is friendly and welcoming. I intend to return. Perfect for us. All the amenities, fresh and clean, relaxing, lounging, great view, best sunsets and big star gazing. Tom is wonderful, very personable and accommodating, went out of his way a couple of times to help us when we had forgotten something. Quiet , Peaceful, Sunny days... Cool evenings. Beautiful setting and very comfortable room. We enjoyed 4 nights in this VRBO and liked the private and cozy setup. The drives to San Luis Obispo, Avila beach and Morro Bay were easy and beautiful too. Would definitely recommend this cottage and look forward to returning soon. We stayed for a week in June 2018 and loved it. Although only a few miles from SLO, it feels like you are way out in the country. The views are gorgeous. Tom is a great host, offering biking and hiking suggestions and giving us as much privacy as we needed. The house is clean and well stocked and just the right size for a couple. Definitely a good choice for a home base while exploring the area. We are centrally located for beaches, restaurants, the mission, Hearst castle, wineries. 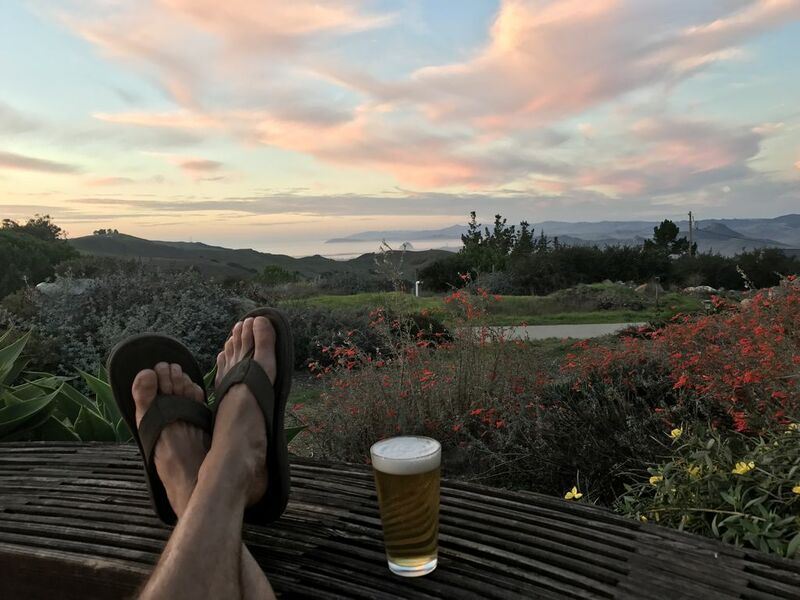 San Luis Obispo is a worldwide vacation destination.